When Should I See An Animal Dentist? 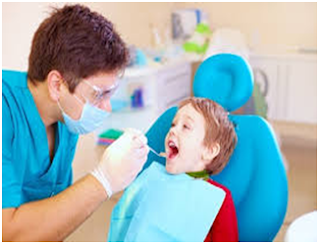 Do you remember taking your child to the dentist for the first time? It may have been a lark or it may have been a catastrophe but it will always be a loving memory. What about your first visit to an animal dentist. Maybe you have never met an animal dentist; do not know who they are; or why you would ever need to visit an animal dentist. Read on! 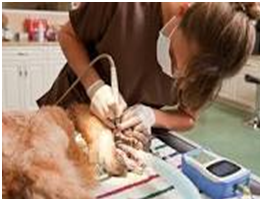 Most veterinarians are highly trained in routine oral care. They perform teeth cleanings and help treat the earliest form of Periodontal Disease called GINGIVITIS. Years ago before veterinary dentists entered the theater of oral care if a veterinarian did not know the cause of a tooth problem and……… because that general practitioner did not have dental x-ray………. all “abnormal” teeth were extracted.